Can Bruins' plans for (bruising) success work in Toronto? David Backes and the Boston Bruins let the Toronto Maple Leafs know they were coming for 'em in Game 2. Still, outside of a Jake Muzzin bulldozing of Torey Krug and Nazem Kadri losing his mind on a suspension-worthy cross-check to Jake DeBrusk's head, Mike Babcock's club seemed anything but ready for it. For the Bruins, it felt like a 60-minute throwback to June 2011, when the Bruins forced the Canucks to play a game they had absolutely no interest (or maybe ability) in matching. It was gritty, bloody, and downright nasty. "We’re not a team that runs from a physical game," Bruins head coach Bruce Cassidy said after their Game 2 victory at TD Garden. "I think it brings out the best of us at times." But with this series shifting to Toronto for two games, is it realistic to expect the Bruins to be able to 'get away with this' as a road team? While this runs the risk of applying the regular season to the postseason, which is not always foolproof, it's certainly worth noting that the Maple Leafs drew just 95 power-play opportunities at home this season. It was the fewest in the entire league, with the second-worst Ducks finishing the year with an extra 10 power-play opportunities compared to Toronto. Now, the Leafs made good on their limited opportunities (their 25.3 power-play percentage at home finished the year as the fourth-best home mark in all of hockey), but it's not as if they were earning chances left and right. The Maple Leafs totaled that measly figure while also absorbing the sixth-most hits on home ice, with 29.31 per 60 minutes on home ice. They also finished with the league's worst home-ice hit differential, at -301. That's almost twice as many as the next closest team (the Flames, at -153 on home ice). Everybody in the league -- including its officiating crews -- knows that the rough stuff is not their game, and that's fine, but they're clearly not blindly rewarding the Maple Leafs for it. So expecting the Bruins to get whistled the first time they bring the nastiness to Toronto seems like a paranoid mindset. "We just played our style of hockey," Charlie McAvoy said of the B's Game 2 success. "We were emotional but we were reserved at the same time in that aspect... I think [physicality] is one of the many traits that’s within our team culture. "I think we are able to do it and we have guys that like to do it." It also has to remain a critical piece of the Black and Gold's strategy if they're going to win this series. When the Bruins dumped the puck in and went to work, they forced the Maple Leafs to play defense. The Maple Leafs hate playing defense, because they're not particularly great at it. The Leafs essentially boast a defense corps of players that 'know where to stand' or 'how to compete,' according to Babcock. That's code for they're not all that skilled in the d-zone. "We want to forecheck, [force a] turnover, some physicality, put some pressure on their defense to break pucks out and we did," Cassidy said of their adjustment between Game 1 and 2. "We got them to the front of the slot. We talked about getting pucks into that area. We’ve done that well against Toronto in the past – getting pucks and bodies there and make it tough on the goaltender. Those are prime chances and forcing them to defend there. They have wingers that like to get going out of the zone and one way to counter that is to have the puck and get it in the slot with people to force them to protect there. "You know, if they don’t do it, quality chances for us so it’s a good way to break them down. We talked about that. It was one puck possession [that] can force them to play in their end, work hard to get it back, they lose their energy to get back to get going the other way and they’ve got to come from further in their own zone." It's enough to make them believe they're going to leave a mark -- in more ways than one -- on this series if they stick to it. "You remember that: When a guy comes down hard on you and finishes a check, you’ll see some guys cough up pucks and it wears as the series goes on," said Charlie Coyle. "You know it’s a long series and it wears you down. So we start that right from the get go and they’ll remember it and it will go in our favor." "We’ve shown some great character all year," Backes said. "We’re in another dog fight against another great team in a seven-game series, so one game at a time." And one hit at a time along the way. 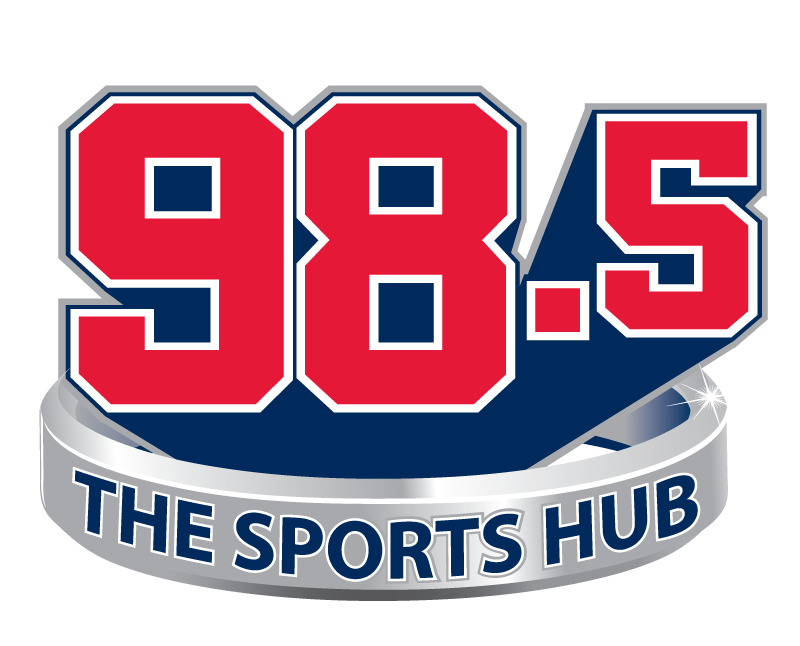 Ty Anderson is a writer and columnist for 985TheSportsHub.com. He has also been a voting member of the Boston Chapter of the Professional Hockey Writers' Association since 2013. Any opinions expressed do not necessarily reflect those of 98.5 The Sports Hub, Beasley Media Group, or any subsidiaries. Yell at him on Twitter: @_TyAnderson.